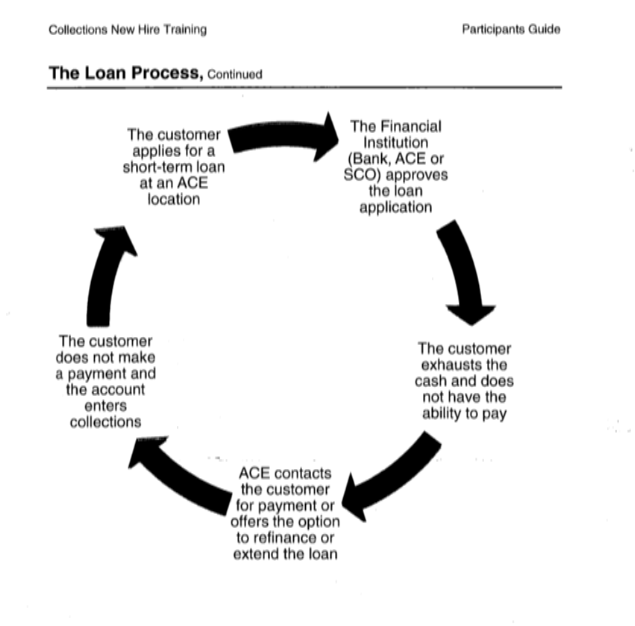 Payday loans are designed to target people at their most desperate and keep them in debt for profit, but there are ways to get out of the payday loan debt cycle. These are small loans averaging $350 that must be repaid in two weeks to a month, and typically come with staggeringly high annual interest rates that can exceed 400%. They are supposedly intended as a helpful option for people living paycheck to paycheck who encounter a sudden expense, like a doctor’s visit or a small home or auto repair—the sort of thing that can be a minor inconvenience if you have the money on hand, but potentially devastating if you don’t. In reality, payday loans exist to ensnare vulnerable people in a cycle of debt and fees. Fortunately, there are ways to break free from the payday loan debt trap. All lenders make money from interest and fees, but only payday lenders rely on a business model built around getting you to take out additional loans to pay off the first one. The majority of borrowers have to take out a second payday loan within a month to pay off the first, and half get pulled into a debt cycle of ten loans. Over 75% of payday loan fees come from people who have had to take out 10 or more payday loans in a year. Say what you will about other forms of lenders, but at least when you have medical debt, your creditors don’t break your arm all over again just to keep the payments coming. The payday loan industry has only existed for around 25 years, and these types of loans are only legal in 37 states. And yet, there are more payday lenders in America than McDonald’s or Starbucks. In Missouri, which has no cap on annual interest rates, there are more payday lenders than McDonald’s, Starbucks, and Walmarts combined. "Predatory lending, these payday loan, car title loans establishments are a drain on the wealth of Springfield," said Susan Schmalzbauer, organizer of Faith Voices of Southwest Missouri. Almost 70% of borrowers take out a second payday loan within a month of their first. For about 50 percent of payday loan borrowers, taking a single loan can end up resulting in a series of ten loans. In 2012 8 millionAmericans had to use payday loans to pay ordinary living expenses. In 2016 payday loans tripled among seniors. Borrowers take out an average of eight 18-day loansduring the year and are indebted 144 days, paying an average of $520 in fees alone for an initial loan of $375. The average annual interest for a payday loan in America is 391%. Click here for more startling facts about payday loans. Payday lenders present themselves as a friendly neighborhood service, there to help you get out of a financial hole quickly so you can get your life back on track. The reality is, these lenders exist to take advantage of people at their most vulnerable. Let’s say your car breaks down. You need your car for running errands, getting your kids to school, and above all, getting to work. Without it, you’ll likely lose your job. You catch a break: the repairs will only cost $350. But like 40% of all Americans, you don’t have that kind of money on hand. So, you drop by your local payday lender and they offer to give you $350 today if you’ll agree pay them $400 in two weeks. Two weeks later, your car is fixed and the full loan amount is due. But here’s the thing: your living expenses didn’t stop during that time. You still had to pay rent, buy groceries, pay utilities, even make car payments even though your car was in the shop. Maybe you missed a few shifts because you couldn’t get to work, so your most recent paycheck was lighter than usual. Maybe you had to rent a car while yours was being repaired. The point is, if you didn’t have $350 to spare two weeks ago, you probably don’t have $400 plus fees on hand now. The lender readily offers to extend your loan by another two weeks for a $50 finance charge. Now you owe $450 for a $350 car repair, with two more weeks to find the money. If this goes on for a year, you would be on the hook for $1,200 in fees alone, plus the initial $350. And that’s assuming that the lender doesn’t decide to put your account into collections, forcing you to go to the payday lender across the street and start a new loan to cover your old one, this time with even higher interest, just to stop the aggressive collection tactics. Payday lenders are like gas station owners who engage in illegal price gouging after a natural disaster. The biggest difference is, when gas stations price gouge you get overcharged for gas once. Payday lenders try to bleed you for as long as possible. The fact that payday loans trap people in a cycle of debt, fees, and collections is a feature for the payday lending industry, not a bug. In 2014, CFPB hit a Texas payday lender called ACE with $5 million in penalties and forced them to refund an additional $5 million to customers because they were found to be forcing people into a cycle of high-interest loans and profiting off their inability to pay. This was not a case of a few crooked employees trying to make a quick buck. It was built right into their company training manual. 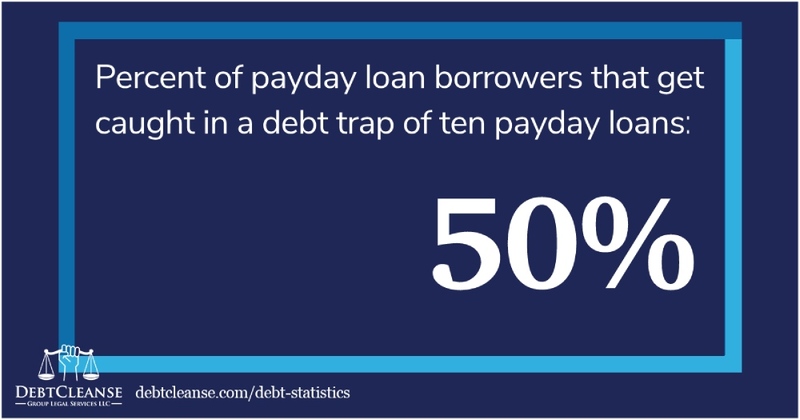 Need more proof that payday lenders don’t have borrowers’ best interests at heart? In 2017, the CFPB passed a new rule requiring payday lenders to assess your ability to repay the loan before they gave it to you. Repeat: it took a federal rule to force payday lenders to even consider your ability to repay the loan successfully. Since payday lenders depend on targeting people with no other options available to them, it is unsurprising that they are often heavily concentrated in minority communities, which frequently have fewer high-paying jobs and are underserved by traditional lenders. In 2009, the Center for Responsible Lending (CRL) found that there were nearly 8 times as many payday loan stores in California’s African American and Latino neighborhoods than in white neighborhoods. In 2016, CRL and the National Council of LaRaza released a study that showed African American and Latino neighborhoods in Florida had more than twice as many payday loan businesses per person than white neighborhoods. “They are siphoning money out of communities of color,” said AJ Buhay, a field director for Progressive Leadership Alliance of Nevada. Seniors are the fastest-growing customer base for payday lenders, as many of these lenders will accept Social Security payments or a pension in place of an actual paycheck. For Americans living on a fixed income, when a sudden expense arises, there may be no other clear option. In California, seniors became the largest group of payday borrowers as of 2016, accounting for 23.4% of all payday loans in the state. DebtCleanse founder and CEO Jorge Newbery has had virtually every kind of consumer debt there is, but the one he always avoided was payday loans. Even when he was at his lowest point, staring down the barrel of total financial ruin, he managed to resist the temptation because he was afraid of falling into the payday debt trap. He’s seen too many hardworking people be taken advantage of by predatory payday lenders. Now he wants to help you fight fire with fire. Click here to download a free chapter on standing up to payday loan debt from the DebtCleanse book. You’ll get powerful, practical tips for how to combat the predatory, and often illegal tactics employed by payday lenders and their collectors. STEP ONE: Commit a crime. Stop paying. It’s not a crime, but your payday lender may imply that it is. STEP THREE: Become a payday avenger. Once you stop paying, your payday lender will start calling you incessantly, and maybe write you some nasty letters. STEP EIGHT: See you in court. If your lender wants to push this further, you might be served with a lawsuit. You can win—or at least stall—the litigation by simply answering the lawsuit. Some creditors will dismiss the cases against the borrowers who answer and focus their efforts on the majority of debtors who do not answer. Check out the chapter above for more details on these steps, and many others, and learn how to stand up against the phone calls, letters, and harassment. These steps and more have been built into the DebtCleanse online platform. Premium membership includes access to a network of affordable attorneys motivated to help. Use the DebtTracker, Letter Generator, and Action Tools to stay organized and push back against your creditors. Some of our tactics are unconventional, and none of them are simply asking your creditors for better terms. Our goal isn’t to make your creditors happy; it’s to get the best possible outcome for you. You can also sign up for a free account to get instant access to our DebtTracker. You will also be able to upgrade to a premium membership at any time to obtain our powerful Action Tools, including 134 of the most common creditor deficiencies that you can use to fight back against unfair debt. Reach out for more information on clearing your payday loan debt for pennies on the dollar. Fill out the form below or call 800-500-0908 and one of our support experts will be happy to help.